London: Gold prices rose to a more than a one-week peak on Monday as the dollar slipped on slow US wage growth last month and a rally in equities stalled, boosting bullion’s appeal. Spot gold gained 0.4 per cent to $1,297.02 per ounce by 1019 GMT, having earlier touched its highest since March 29 at $1,297.86. US gold futures were up 0.4 per cent at $1,300.8 an ounce. “The market is just getting a little bit of confidence back after once again failing to break lower last week,” said Saxo Bank analyst Ole Hansen. “We’ve got a weaker dollar, China buying another chunk of gold last month continues to show that the physical underlying demand and renewed fighting in Libya is just raising the geopolitical temperature,” Hansen said, adding gold was once again potentially challenging the $1,300 level. 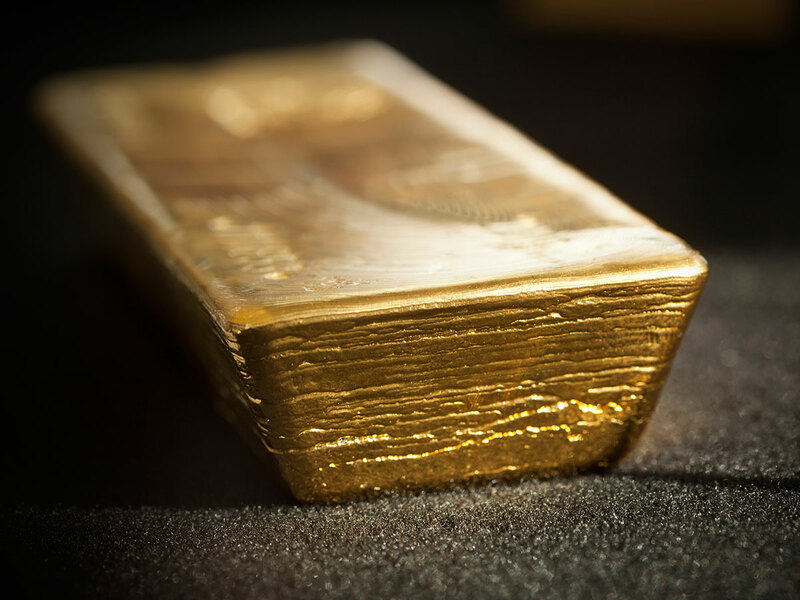 A rally in stocks that has capped gold’s gains recently paused, while the dollar was down 0.2 per cent against key rivals, making bullion cheaper for holders of other currencies. Data on Friday showed employment growth in the US accelerated from a 17-month low in March, assuaging fears of an abrupt slowdown in economic activity, but a moderation in wage gains supported the Federal Reserve’s decision to suspend further interest rate rises this year. China raised its gold reserves by 0.6 per cent to 60.62 million ounces by end-March, central bank data showed. “Prices at around $1,280, the lowest seen so far this year (for gold), appear to be generating buying interest on the market and preventing prices from sliding any further,” Commerzbank said in a note. “The technically important 100-day moving average held firm late last week, as it did in early March, thereby lending support to the price.” Holdings in the world’s largest gold-backed exchange-traded fund, SPDR Gold Trust, fell as much as 3 per cent in the previous week, its biggest weekly percentage decline since end-November 2016. Speculators slashed their bullish bets in COMEX gold in the week to April 2, data showed on Friday. Among other precious metals, spot platinum was up 1.7 per cent at $910.08 an ounce, after touching a more than 10-month high of $914.74 earlier in the session. “Some potential mining unrest in South Africa on wage negotiations is dragging on and has provided the fundamental backdrop,” Saxo Bank’s Hansen said. Palladium rose 0.3 per cent to $1,374.63, while silver gained 0.3 per cent to $15.12.